Japanese footballer, Yuya Osako currently plays as a forward for German club Werder Bremen and a Japan national team. He started his youth career from local club Bansei Soccer Sports Boys. He started his senior career with Japanese professional football club, Kashima Antlers in 2009. He is the 2011 J. League Cup MVP recipient. He has represented Japan at different age levels and made his senior team debut in 2013. His winning goal in the group stage match against Colombia, where Japan became the first Asian country to defeat South American country in World Cup history. Yuya Osako was born on 18 May 1990 in Kaseda, Kagoshima, Japan. He holds Japanese nationality. His interest in football grew from his childhood. Grew up with the passion of football, Yuya Osako started his youth career with Bansei SSB and later played for Kagoshima Josei High School, from 2006 to 2008. Yuya Osako started his senior club football career from Japanese club Kashima Antlers in 2009. He was named J. League Cup MVP in 2011 and became the top scorer in J. League in 2012. Osako joined German club 1860 Munich in January 2014. He played there from mid-season until the end of the season. Another German club 1. 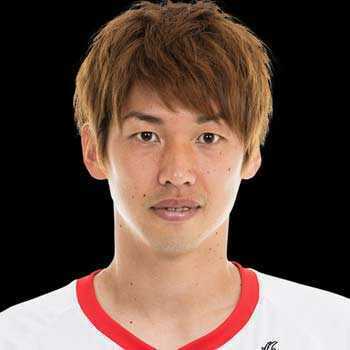 FC Koln signed Osako in June 2014 for a transfer fee of 1.5 million Euro. Osako joined another German club Werder Bremen in May 2018 after his former club Koln relegated from the Bundesliga. Yuya Osako has represented team Japan at different age levels including U20, U21, and U22 squads. He made his senior international debut in 2013. He was also included in the Japanese squad for 2018 FIFA World Cup at Russia. Osako scored the winning goal by a header against Colombia in their World Cup opening matches. Japan became the first Asian team to beat South American country in the World Cup history. Currently 28, Yuya Osako stands 1.82m i.e. 5 feet 9 inches tall and weighs around 70kg. He has an athletic body build and has maintained himself fit for the active duty on the field. He is married to Japanese fashion model Asami Miwa. She attended at Otsuma Women's University. They got married in 2014. Currently, Osako has not shared about his personal relationship. We have not more of their personal information available at present. At present, the net worth of Werder Bremen forward, Yuya Osako has a net worth estimated at $1 million. German club 1860 Munich signed Osako in January 2014 for 500,000 Euro only, while another German club FC Koln signed him for 1.5 million Euro in the same year.